Convenience and proximity make Avalon Airport the perfect entry point when visiting the Great Ocean Road. 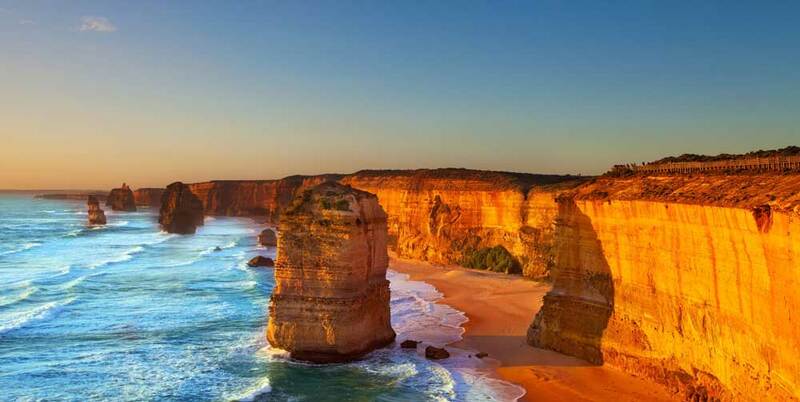 Anyone who has ever been to and experienced the stunning, diverse state that is Victoria is likely to have heard of the Great Ocean Road, an undulating coastal road whose scenery is breathtakingly beautiful. Stretching 243 kilometres, the Australian heritage listed road sits between the towns of Torquay and Allansford and was built by returned servicemen in remembrance of their fallen comrades of World War 1. Construction took 13 years and it is the world’s largest war memorial. Toast to the Coast Food & Wine Festival and much, much more. Driving the Great Ocean Road is one of the most magical trips you will ever experience. Stopping where you like, deciding which place is your favourite, staying a while - it’s a memorable drive which, if you have the time, should be savoured and not rushed. Regardless of how long you have to discover this stunning stretch of the south-eastern coast of Australia, your first stop will inevitably be the majestic, coastal town of Torquay. Torquay is just 43 kilometres from Avalon Airport – making Avalon easily the closest domestic airport to the start of the Great Ocean Road. So, if the coast is your destination, Avalon Airport has got you covered. Hire a car and simply begin your Great Ocean Road discovery tour. Avalon is convenient, welcoming and much closer to this wonderful part of the world. Find out more about the extraordinary region just down the road from Avalon Airport by clicking here.